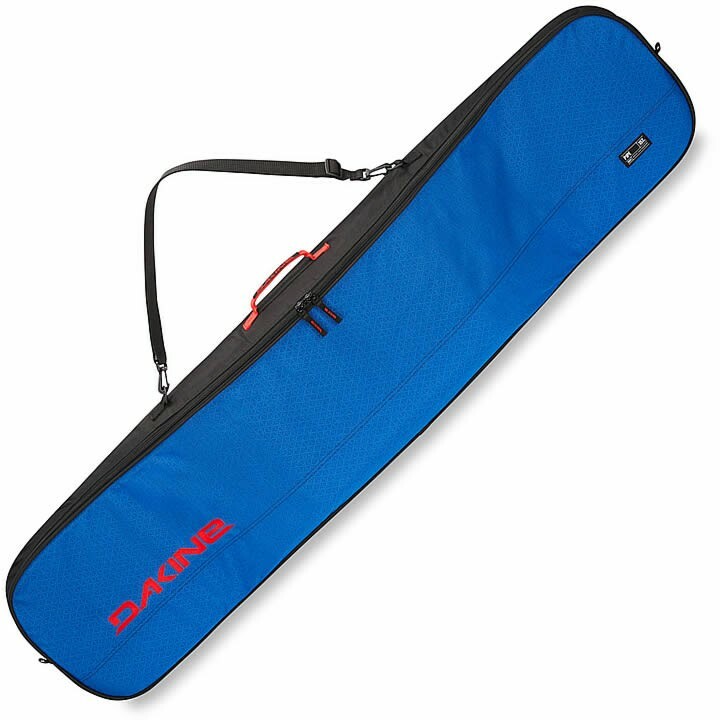 The Dakine Pipe Snowboard Bag is big on practicality. The full-length zipper makes it easy to load and unload, while a removable strap lets you choose between over-the-shoulder or hand carry. The durable fabric construction protects your board from dings and scratches and, at less than 2 pounds, folds up small and packs away easily when not in use.